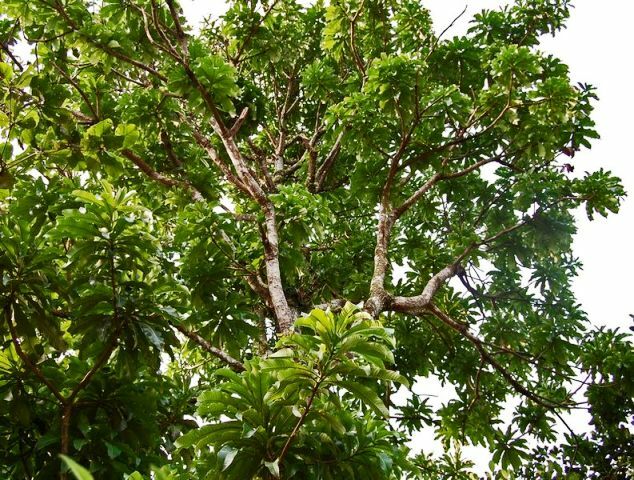 Leaves elliptic to lanceolate, more or less obovate, (7-)10-12(-30) cm x (3-)4-5.5(-10) cm, medium green and shiny above, paler below, often crowded at the end of stout branchlets, coriaceous, blunt or bluntly acuminate; midrib thick, flattened, raised abovet; petiole very short, leaves nearly sub-sessile, margins narrowly decurrent. .
Panicle terminal, long, upto 75 cm long, containing fewer flowers; flowers 5-merous, pale lilac, fragrant; petals linear, up to 10 mm long, not strongly reflexed as in most other mango flowers, only slightly reflexed in the upper part; fertile stamen 1, filament 5 mm long, white at base, purple towards the apex, 4 teeth-like staminodes; disc narrow, stipe-like, 1-1.5 mm long, pale green; ovary obliquely globose, reddish brown, style excentric, 8 mm long, white, becoming violet after anthesis. Fruit an obovate-oblong drupe, necked at base, 12-15(-20) cm x 6-7(-12) cm; dull brown at maturity, gibbous at base and scurfy; pulp whitish, soft and juicy. 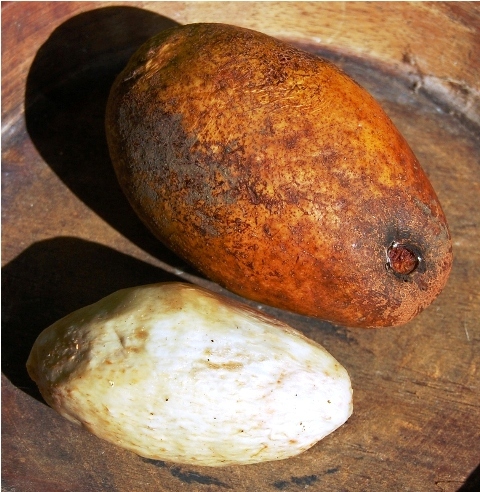 Ripe fruits of kemang fruit is eaten fresh. These are also utilized for making juice at homes. Unripe fruits are used to make a dish called “rujak”. For making rujak, sliced green fruit are covered with a spicy sauce. Occasionally a dish is made from fresh, grated seeds, with fermented soya beans and spices. 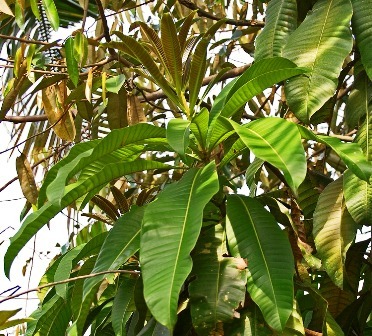 Tender young leaves of kemang are used as a leafy vegetable.